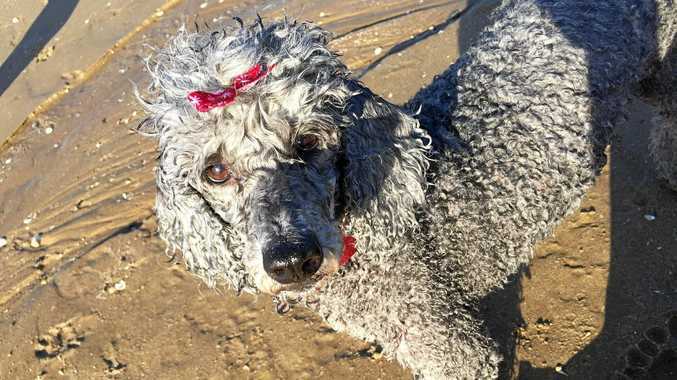 READERS are appalled at the actions of a dog owner on a Capricorn Coast beach while their dog attacked a small dog on the weekend. The Stuthers family were spending their Sunday afternoon on Lammermoor Beach when a "huge unleashed dog came out of nowhere and attacked her". Anna, who was with her nine-year-old daughter and husband, said the attack went on for a "horrific three minutes" as the dog which weighted about 30kg latched on to a 13kg Aymee. Anna and her husband were both screaming at the other dog's owners to "please come and get your dog" but the pair said this made no difference. Anna's husband eventually pried the other dogs jaws open and pushed it away. "Then the owner put her dog back on the leash and casually walked off," Anna said. Michelle Wehmeier - My heart goes out to Amyee and her family. I hope that Amyee has a speedy recovery and is back with her loving family very soon. I hope the owner of the other dog comes forward , because that person needs to take responsibility for their actions or lack of. Penny Corbin - This little girl is lovely and sensitive. You need to make amends to her and her family who have been severely traumatised and suffered considerable expense by your not obeying the law. Rell Kenny - If you are the owner of the dog that is clearly viscous and should not have been in a public area, have a conscience and right a wrong. Help this family with the vet bill and seriously think about the future of your own dog. Amyee is a family pet and endured a traumatic mauling in front of the family. They will never forget this, at least apologise for not assisting them.! Karen Schumacher - Well said but after what I have just read that horrible women won't come forward but hoping a witness has a photo of her number plate and the police find her and that horrible beast. Sue Davidson - Yes a photo of the woman in front of her number plate was taken by one of the many witnesses. It's disgusting how the other dog owners responded, what absolute heartless irresponsible wankers. Melissa Frankish - We were on that beach about 12 months ago and a dog ran up to my son and tried to have a go at my son and this dogs mouth was taped up. The owners had the lead in their hand and quickly ran over and apologied. Dogs like that should not be running around the beach. Layne Aisthorpe - This exact same thing happened to my mums dog at the same beach. In fact, I would say it's probably the same dog! Penny Corbin - This is terrible. They need to be held accountable. Pitbulls-Just Say No - Sounds like a owner of a fighting breed who sees dog aggression as normal. Funny how their attitude changes if you pull a gun or a blade out and they know their wigglebutt is going to be the one killed. People like this are all over. Always carry at least a blade when out with your dog. My heart goes out to the family. Been there, done that though the pits that attacked my dogs won't be doing it again to another pet. Kerry-LeeT BERSERKER - Oh my goodness - sounds exactly like the female owner of the dog who attacked mine a while ago. Didn't say anything, wouldn't restrain her dog, and when I challenged her she said her dog had done nothing wrong. Its still outside its yard, unrestrained, after repeated complaints to the Rockhampton City Council and no dangerous dog signs are erected at the premises. I hope these people are punished appropriately. 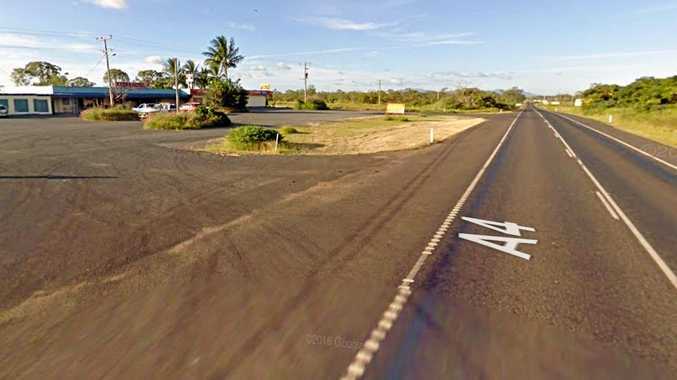 Loyal_poonie YEPPOON - I feel sorry for both your dog and your family. That is absolutely appalling! However, nothing surprises me with behaviour from the general public. I hope the council can catch her for you, and she has plenty of equity in assets that you can sue her civilly. I've witnessed dog owners not bothering to pick up their dogs poo after strangers have offered a poo bag, and dog owners who know their dog loves taking balls from other dogs and just walking off with them. Unfortunately, there is no etiquette on any of the beaches. This is something to a whole new level. I would like to know the description of the dog please? Good luck! Keppel_Girl COOWONGA - This must have been a terribly traumatic situation for all involved. I hope the poor little dog recovers from this attack, as well as the humans, particularly the little girl. Livingstone Council officers MUST investigate this incident as a matter of urgency as the rest of the community needs to be protected from the attacking dog. Some legal action against the owner wouldn't go astray either, if the lack of intervention can be proven.